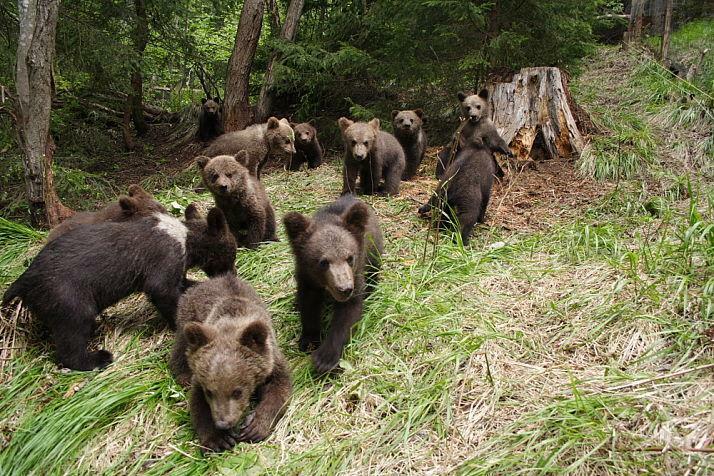 Romania is home to Europe's last remaining virgin forests and some of the continent's largest populations of bears, wolves, and lynx. Theseforests are under serious threat due to rampant illegal logging. Over a multi-year investigation, EIA documented this illegal logging and found a major driver behind this destruction was an Austrian-based timber and wood processing company known as Holzindustrie Schweighofer. Earlier this year, EIA released a video documenting how Schweighofer willingly and knowingly accepted illegally harvested timber and incentivized additional cutting through a bonus system. The company is the largest buyer of softwood timber in Romania, responsible for processing around 40% of the country's total annual softwood production. It then sells this processed timber to nearly every European Union member state, to popular biomass companies, to be used as bio-fuel and lumber. EIA's report, _Stealing the Last Forest: Austria's Largest Timber Company, Land Rights, and Corruption in Romania__,_ provides new evidence to Schweighofer's illegal business practices and documents the many types of illegalities prevailing in Romania's forests. In nearly every case investigated, the illicit wood arrived at Schweighofer’s mills. The report also identifies Europe's largest buyers of Schweighofer's products. Read EIA's press release on the official launch of Stealing the Last Forest here.